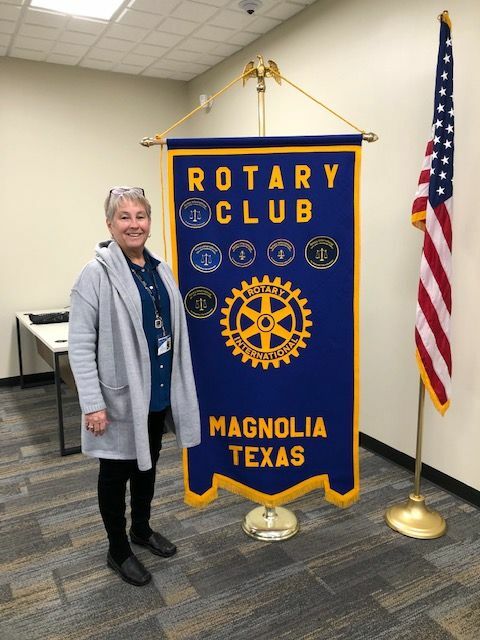 On January 29, 2019, Tamra Strano , a volunteer with the Make-A-Wish Foundation spoke to the membership of the Magnolia Rotary Club about the Texas Gulf Coast Chapter of the Make-A-Wish Foundation. Pictured above is Tamra Strano. Tamra Strano told the group that after that after retiring a career as a teacher and moving to Texas, she asked God to place her in a volunteer position somewhere to help fill her time. At an open house for her hairdresser, she met a lady who told her about the Make-A-Wish Foundation and she was hooked. She has been a volunteer ever since that time and has had the opportunity to present the Make-A-Wish Foundation package to almost 60 kids. Tamra told everyone that the Make-A-Wish Foundation is a bare bones organization that gives $0.93 of every dollar donated to the kids. That is only 7% for administration costs. 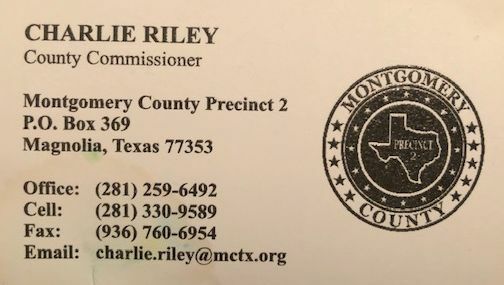 The Texas Gulf Coast Chapter that she is part of covers the Gulf Coast of both Texas and Louisiana. The mission of the Make-A-Wish Foundation i to create life-changing wishes for children with critical illnesses. Research shows that children who have been granted wishes build the physical and emotional strength they need to fight a critical illness. This improves their quality of life and produces better health outcomes. A wish transforms the lives of children, their families, volunteers, supporters, medical professionals, and entire communities. Make-A-Wish Texas Gulf Coast & Louisiana is one of 60 chapters throughout the United States and its territories. Since 1984, this chapter has granted over 8,200 wishes, and during their fiscal year 2018, they granted 403 wishes. Make-A-Wish is the World's leading children's wish granting organization, serving children in every community in the United States and in 50 countries worldwide. Since 1980, more than 315,000 wishes have been granted to children in the U.S. and its territories. Tamra then told everyone that there are almost 400,000 volunteers across the United States and that a wish is granted almost every 17 minutes on average. Tamra then related the heart warming stories of several of the children that she has been privileged to grant a wish to. 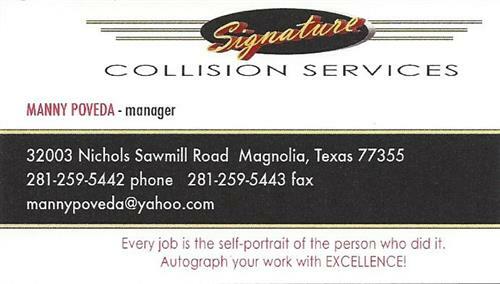 For more information about the Make-A-Wish Foundation or how to donate, go to: www.txgulf.wish.org.